Onew, Jonghyun, Key, Minho, and Taemin—collectively known as Shinee—are popular in Korea for their youthful and hip fashion style and danceable contemporary R&B music. For Pinoy K-pop fans, November is the season to be jolly. To cap the year-long celebration of 60 years of diplomatic relations between Korea and the Philippines, the Korean Embassy will hold on November 19-27 the Korean Cultural Festival, which will let Filipinos have a taste of Korean food, dance, music, theater, and arts. But the most-awaited event in the week-long festival is the free K-pop concert scheduled on November 27. It will feature popular Korean front acts like boyband Shinee, jazz band Winterplay, and energetic rap duo Mighty Mouth. Composed of five the boys Onew, Taemin, Jong-Hyun, Key, and Min-Ho, Shinee is known for the group's danceable contemporary R&B songs. 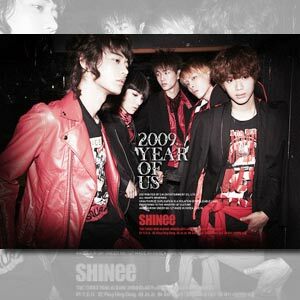 Since their debut last year, they have won music awards including Best Newcomer Artist in the 18th Seoul Music Awards. Shinee's fashion style of high-top sneakers, skinny jeans, and colorful sweaters created the "Shinee Trend" that's popular among college youth in Korea. Winterplay is a group that mixes several musical genres like pop, jazz, blues, and bossa nova, to create a unique relaxed sound. The band is composed of vocalist Moon Hye-won, and her band Lee Joo-han (trumpet), Choi Woo-joon (guitar), and So Eun-kyu (contrabass). Mighty Mouth is well-known for collaborating with famous celebrities like Sun-Ye of Wondergirls and Yoon Eun-hye of Coffee Prince fame. Mighty Mouth is composed of rappers 237 and Shorty j. The free K-Pop concert is scheduled on November 27, 3 p.m. at the Cultural Center of the Philippines (CCP) in Manila. EVENT HIGHLIGHTS. The Korean Cultural Festival will open with "Taste Korea! Food Festival," on November 19-23 at Shangri-La Plaza in Mandaluyong City. It will feature a cooking demonstration of popular Korean dishes, an exhibition of Korean agricultural products like Korean tea, and a presentation of Korean cookbooks and fine selections of special pots, pans, and dishes. Visitors will get a chance to eat samples of Korean food like japchae, kimchi, and bibimbap. On November 25, the National Dance Company of Korea will present "Dance of Chun-Hyang," which will feature traditional Korean dances. Samulnori, a genre of percussion music that originates from Korea, will be presented on November 26 by the Noreum-Machi troupe. Both musical events will start at 8 p.m., at the CCP. To cap the entire festival, a Philippines-Korea Friendship Parade along Roxas Boulevard in Manila will start at 10 a.m. on November 27. More than a dozen floats and thousands of marchers will demonstrate Korean customs and tradition. The free K-pop concert takes place on the same day. For more information about the Korean Cultural Festival, contact the Korean Embassy at 811-6139 to 44.